"How can I get a bump in yield from our admit pool?" That's where our conversation centered when an enrollment manager called to see how he could increase yield. It had remained steady over the last five years but he was certain it could grow. He needed help in finding the how. Over the 15-plus years that Longmire and Company has been conducting yield enhancement programs, we have learned one thing: prospective students ask colleges for many facts and figures during their college shopping process but they will ultimately make their college selection decision on emotion. We know from experience that when you ask students during the recruiting cycle what will most influence their college selection they will give you fact-based descriptors such as available programs, cost, housing, etc. However, when asked after they enroll why they chose the college, they give you answers based in emotion, such as “it was a good fit for me” or “I felt comfortable there.” The challenge for any institution is to uncover the emotional drivers of the student long before they have made their college selection decision. That way, conversations with the student can revolve around the issues that will ultimately influence their selection. 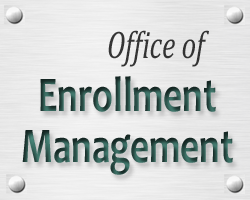 The enrollment manager utilized Longmire and Company’s Yield Enhancement System (YES) program to do just that. The program enabled the college to uncover the needs, preferences, and emotional drivers of individual students in their admit pool. This information, in turn, was transferred to the counselors who had responsibility for those students. This enabled counselors to speak with students based not only on fact-based needs but emotional drivers as well. The net impact was that students for whom counselors had this information enrolled at a rate 22% higher than their traditional yield rate.